Swami Sankalpananda Saraswati (Wendy Vermeulen) is an internationally qualified Yoga and Pilates instructor, personal trainer and life coach with almost 30 years experience in wellness, fitness and mindfulness training. Sankalpananda also teaches anatomy on Yoga teacher training courses, runs regular retreats and facilitates workshops throughout the year. It’s her insatiable appetite to learn and expand that continues to evolve her teachings. 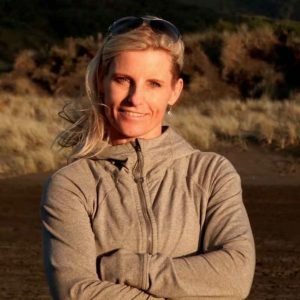 Over the last 4 to 5 yrs she has been delving into the learnings of Fascia, studying with one of the world leaders in Fascia studies, Dr Robert Schleip, and neuroscience, studying with teachers such as Dr Joe Dispenza, Dr Bruce Lipton and many inspirational scientists bridging the gap between the esoteric and the scientific realm. Sankalpanada’s approach is to bring in the awareness of the multi dimensional aspect of our existence in a fun and down to earth way.